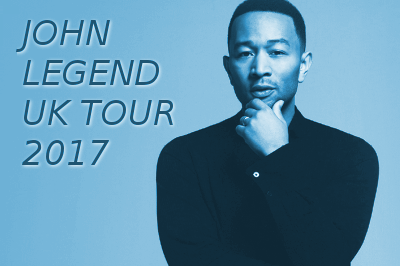 John Legend returns to the SSE Hydro for a show as part of his ‘Darkness and Light’ tour in September 2017. The man behind the soulful R&B flavoured sounds hit the big time thanks to his tune ‘All of Me‘, from his big fourth album ‘Love in the Future, but John Legend is a versatile performer, playing the piano and recently flexing his acting chops in La La Land. He crafted the stirring track ‘Glory‘ with rapper Common for the film ‘Selma‘ and won him the best song Oscar that year. With his new album ‘Darkness and Light’ he’s already scored hits with ‘Love Me Know‘, ‘Penthouse Floor‘ and ‘Surefire‘. Fans can expect plenty of those and some superb choices from his career so far on the night.